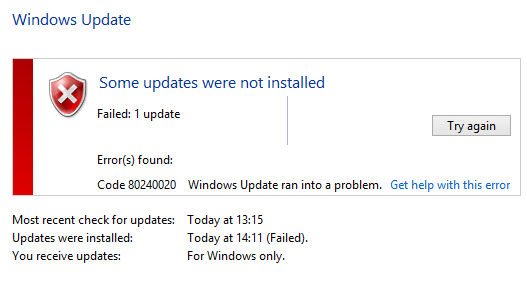 Code 80240020 Windows Update ran into a problem. 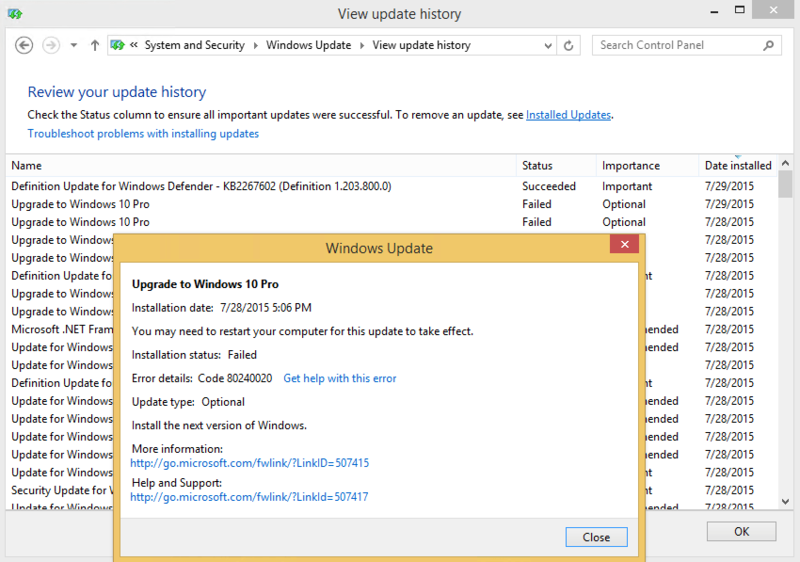 Upgrade to Windows 10 important update may failed to install. 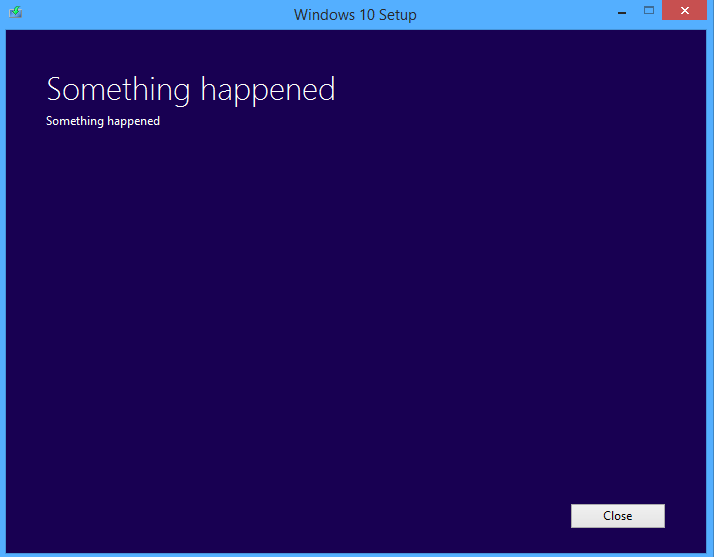 Or, the Windows 10 Setup process may simply stopped and shown “something happened”. If you go to review Windows Update’s update history, Upgrade to Windows 10 Pro / Windows 10 Home important or optional updates are listed, something several times, where the details show that installation status as failed and error code as the same 80240020. The cause of the error code 80240020 may be due to incomplete or corrupted Windows 10 setup installation components that were downloaded onto local disk before setup executes. To resolve the issue, delete all the files and folders inside the %WinDir%\SoftwareDistribution\Download” and/or %SystemDrive%\$Windows.~BT folder. Go back to Windows Update in Control Panel, and you should see Windows Update is now re-downloading Windows 10 OS setup files from scratch, and when done, asks you to restart to begin the installation. If the resolution above doesn’t work to fix the issue, try any of the trick to manually perform the Windows 10 upgrade process or download Windows 10 Media Creation Tool and ISO to start the upgrade.